eBay OR Amazon – which is the best platform to start selling on? How to outsource eBay customer service WITHOUT sharing login details? Is it ok to under-value goods shipped from USA to the UK? How to get your eBay listings ranked higher in search results? Any mail forwarding companies in China? Can I order goods from Alibaba on credit? How to find trustworthy suppliers on Alibaba? Is it worth going to China to place wholesale orders? Just wanted your opinion regarding selling on eBay and Amazon. Which one do you think is better in terms of fees? Please bear in mind that I am thinking of starting a small business using either eBay or Amazon, so could you please suggest which you think is best. Fee wise both platforms are pretty much the same – you’ll pay on average 15% of the item’s sale price in Amazon/eBay & PayPal fees. On Amazon the payment processing fee is already included (there are no PayPal fees) but then Amazon’s cut in most categories is 15% while, on eBay, it’s 10%. So together it still works out ±15%. If you’re just starting out, I would recommend you start selling on eBay first. Why? Well there are several reasons which I have covered in detail in my eBay, Amazon, or Ecommerce Shop article. 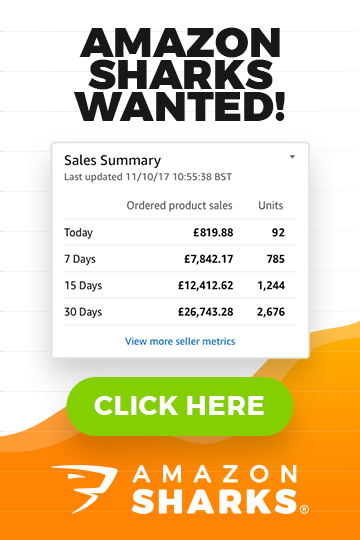 Once you’re up and running on eBay, you can then expand to Amazon and after that – start your own Ecommerce Shop (if you work in a niche market). These are the three main selling platforms that most people should stick with. Others aren’t popular enough and usually aren’t worth your time unless you sell in specific niches, such as handmade/craft items, which you should sell on Etsy, or media goods (movies, video games etc.) which you should sell on Rakuten and some other similar platforms. Many thanks for all your help so far, it’s highly appreciated! I have actually been looking into outsourcing as per your advice. I’ve been trying continuously to set up integration with eBay however the support people that I’ve dealt with haven’t been able to do this. Also, there isn’t a single document in their knowledge base that talks about the procedure to connect with eBay, so it looks as though Kayako is only suitable for your own site and not eBay or Amazon. Could you please advise a solution to this problem because it is really holding me back from starting outsourcing. As per your article I have been using Linnworks for inventory management and it has made my life really easy. It brings all orders together in one platform and that’s really what I want to achieve with my emails as well, so that I can assign the entire task to someone. Very few people know that you can actually reply to eBay messages directly from your inbox (Gmail and others). For this to work, you simply need to connect your eBay email address to Gmail (or whichever email service you use) and there are tons of tutorials for how to do this online. Just make sure you’re actually replying from the same email address the messages are sent to. For example, if your eBay email is ebay@yourdomain.com and you open a Gmail account – ebay@gmail.com, you want to make sure you set it up in a way that when you reply, Gmail uses your eBay email (ebay@yourdomain.com). There’s an option for this within the settings in Gmail. This way you can safely outsource eBay customer support messages WITHOUT having to share your eBay login details. Even more, if you use Linnworks, you can add additional users there with limited privileges (view only) so that your outsourcer also gets access to order history, tracking numbers and other details which will help them greatly when replying to customers’ messages. Lastly, instruct your outsourcer to ARCHIVE (not DELETE) all emails they reply to! This way you can always login to Gmail and check conversation history to keep an eye on how your outsourcer is handling this task. I’m very interested in your blog and your articles on importing. I’m also looking at possibly singing up to one of your programs. If I buy a camera, for say $1000, in NY, USA and my sister is an importer in the UK – what’s wrong with me having the camera shipped to me first (in Maryland) and I then forward it to my sister (me basically acting as the middle-man) but only value it at $200, which would mean she only pays import duty and VAT on $200, rather than $1000. I hope you can help and offer some advice as I am facing a hefty import tax bill at the moment. In a word – it’s illegal. It’s called tax evasion and is something you should never do, especially on purpose. Would it work? Yes, you would probably get lucky a few times and the items would get through customs with little or no charges BUT it won’t be long until a package is opened randomly or you’re simply asked to provide an invoice/payment receipt to prove the items’ true value. Either way, this is not how you run a business and you WILL get in trouble sooner or later. Hope you have had a merry Xmas? I am a TRS, 100% seller, but can never get anywhere near the top pages and would really like your help and advice. I have followed your strategy, and for one of my listings it seems to have helped me, but for the others I’ve just hit a brick wall. What I will say is that one of my listings is on the 2nd page, but all my other listings never seem to get many views and I would like to know why? They were all listed at the same time and in the same way, so I don’t understand why one is now ranked higher than all the others. I constantly find myself looking at these listings, wondering how I can improve the views and therefore sales, but honestly I am at a loss. This has kind of put me off buying more stock as I am afraid of the same thing happening. Any help would be great and much appreciated! You didn’t mention whether you tried to apply my strategy with existing listings OR started new listings? As often it’s not worth trying to improve old, low ranking listings as eBay has already placed them low down in the search order and that’s very hard to change. If that’s the case, I would simply recommend taking those listings down and starting new ones, applying my strategy from the very beginning. REMEMBER!!! The key principle here is to start these new listings with as low a price as possible! You really want to make your listings the cheapest to get maximum results out of this strategy. Of course, also make sure your listing titles are keyword optimised and you use the GTC listing format, with free shipping. With very competitive items, it won’t work as fast as with items with small competition, so if you’re selling highly competitive items, be patient and be very aggressive on the pricing to get your listings noticed. Also, using auctions to drive extra traffic to these newly listed GTC listings is a great way to boost views & sales on them in the beginning which will help you even further with rankings. Hope you had a great Christmas and are looking forward to a great new year. Last week I was chatting to some Chinese suppliers and asking for their samples. One of them asked me if I had a parcel forwarding company in China as that could save me some money on importing samples. I know in your video course you cover a similar topic for the USA but do you think it might work from China or do you know of any good company which offers this sort of service at a lower cost than DHL or FedEx for sample orders? I am looking at the parcel size and it doesn’t weigh more than 5kg as a sample of 5-10 units. I look forward to hearing from you soon. Have a great time off. No, I’m not aware of any such mail forwarding companies in China. I’m sure you can find them but I haven’t had a need to use them as I don’t really see any point to be honest. Because they would still use the same courier/mail services and the cost would be same to you, if not more, taking into account the mail forwarding fee. You can send goods via USPS which is the cheapest postage method by far and something that many suppliers don’t offer. You can consolidate multiple orders and ship them as one package. But if you’re just ordering samples from one supplier in China, there’s simply no reason to use a middle man. Just ask your supplier to get you the cheapest shipping quote (usually EMS) and then pay them directly. It’s really as easy as that. I found your article on 10 steps to follow when importing goods using Alibaba’s marketplace very helpful. I will definitely incorporate these steps into my due diligence process before placing an order with any supplier I find. Can you please assist with two questions I have or possibly point me in the right direction to further my research? What credit options are available to minimise the upfront investment needed when dealing with Chinese suppliers? How cumbersome is it, in general, to have a Chinese supplier customise products to suit your needs, i.e. having them use specified artwork to brand a product? Basically there is no such a thing as ordering from China on credit, that is unless your bank can open a credit line for you. There’s an Escrow option on Alibaba but it’s not a credit line, you still have to pre-pay for your order in full. Many people just use bank loans or even credit cards to make that first order but I personally don’t recommend this as any loan is added risk and stress which isn’t very helpful when you’re just starting out. You better start small, with what you have, and then build your business by re-investing profit or simply get a 2nd part time job to save up money to further invest in your business. As for customisation of products with Chinese suppliers – this is called OEM and most manufacturers will happily do this for you as long as you can meet their MOQ for OEM orders. Starting with putting your logo on the product and packaging all the way to custom-made products with specific colours/design and specialised packaging – it can all be done! Some suppliers charge a fee for this, some do it for free. The more you order, the more likely that you get this service for free. I have been reading your article about Alibaba, and it sounded pretty interesting. I have always loved to do business ever since I was a little kid. 6 years ago, due to my ignorance, I tried to buy a MacBook from Alibaba, because I thought a “gold member” indicated a trustworthy seller, and got scammed for approximately 400 USD. After some research I now know that many factors should be kept in mind. But still, I fear this website – I was wondering if you could maybe help me, with all your experience, find a reputable company on Alibaba that could supply me with bulk quantities of glass hookahs? That would be great if you could or if you know any other websites that are more trustworthy than Alibaba? Please tell me if you do as I am just a bit wary and a lot of these Chinese manufacturers that I come across seem very suspicious. Yes, buying a MacBook off of Alibaba wasn’t very smart 🙂 You can’t get genuine branded goods in wholesale from Mainland China, PERIOD! But don’t let this bad experience scare you off Alibaba completely. In fact, the vast majority of suppliers on Alibaba dealing with normal, unbranded goods are totally legit and easy to deal with. The key is to stay away from high risk niches like electronics. To minimise your chances of getting scammed, deal only with established suppliers – 5th year Gold supplier + and always start with a sample order. Hookahs really aren’t a high risk niche so I’m sure you’ll be able to find many genuine suppliers for these on Alibaba. Ideally, stick with suppliers who take PayPal as if you pay with a credit card via PayPal, you can always do a charge back with your credit card company in the worst case scenario. But as I said, Alibaba is not as black as people make it look! Most horror stories you can find online about Alibaba scams involve branded goods and too good to be true deals with unverified sellers. Thank you for the blog you have created. Can you please tell me how I can buy merchandise from China? Now I know how to deliver it from China to USA but I don’t know which supplier is recommended and safe to buy from? Is Alibaba.com the best or is there any better way of buying from China? Or should I travel to China in order to find a reliable supplier and negotiate the best deal in person? Travelling to China is only a viable option if you have at least $30k+ to invest in stock as travelling expenses will be quite high plus you will have to hire someone locally to help you with communication, to show you around the best factory locations etc. Sure, going to a trade show like Canton fair is a good option but still, if you’re just starting out, you can easily find suppliers and place orders from home. And based on the answers you receive, you can pick the 2-3 best looking ones to order samples from. ALWAYS start with a small sample order to test out new suppliers – never go ahead with a full order ahead straight away as it’s simply too risky! Ok, that’s it for today! 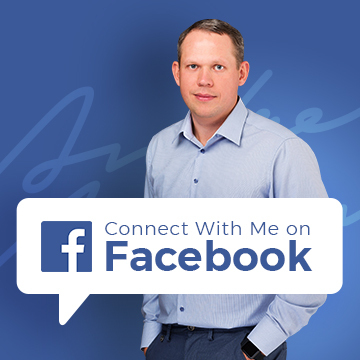 If you have a question or two for me, get in touch via the contact form on this page. first time here and was nice reading the comments and questions on your blog. As mentioned I was going thru the web trying figure out how I may be calculating the CIF price when I was quotes CNF/ ex works. Please assist as i already a spread sheet formulated and it delivers CIF price once i have cost (FOB) provided. but this one is CNF and iwant to calculate the Insurance to be included and i can get my L/C. I am a procurement personnel in my organization. Why don’t you simply ask supplier to give you CIF instead of CNF?